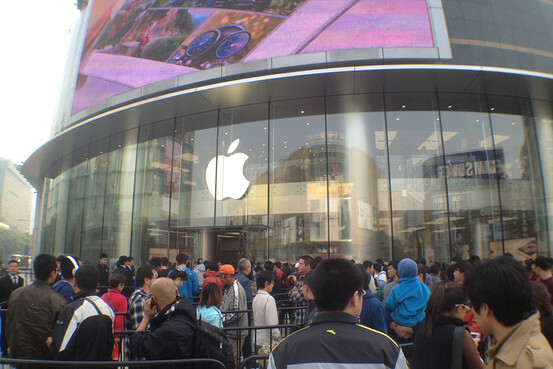 Apple has been slapped with a $666,700 fine by the Taiwanese Fair Trade Commission. The fine comes after the tech giant worked with the country’s top three carriers in order to build pricing plans that would be most beneficial to Apple. According to the FTC’s report, the carriers actually submitted new pricing plans to Apple for approval before implementing them. These restrictive practices reportedly violate Article 18 of the country’s Fair Trade Act. As the FTC has found that these tactics may actually be hurting Apple’s competition, it has ordered the company to stop using these techniques in order to avoid any further fines. This is the first time that the company has actually been fined for using its power to manipulate pricing structures of iPhone plans put out by a carrier. Apple Asia has yet to release any statement regarding the regular’s findings and the fine itself but it is likely that they will pay the fine in order to keep this incident as quiet as possible. If Apple did indeed require carrier’s to submit plans for approval, the Cupertino-based tech giant would be directly violating Taiwanese law and if it is carrying out these practices in other regions, it would likely be breaking the law in those areas as well. Chunghwa Telecom Co Ltd, Taiwan Mobile Co Ltd and Far EasTone Telecommunications Co Ltd are the carriers involved with the case. All three of the carriers had attained reseller agreements with Apple in order to sell the iPhone. Apple has been struggling in the smartphone market recently, particularly in the Asian markets as its competitors have been able to take over larger parts of the industry. Apple is just now making its way into China and other Asian countries where it previously had a relatively small market share. It is possible that the company has engaged in other agreements with Asian carriers in order to try and win back market share, meaning that this Taiwanese ruling may only be the tip of the iceberg.